New books enter the UCF Libraries system on a regular basis. At the John C. Hitt Library, we select those with interesting titles, eye-catching dust jackets, or timely topics to feature on a display. The books range in subject from photography, science, and history to poetry, novels, and biographies. The display, which is next to the seating area at the Research & Information Desk, changes around every two weeks. Our latest exhibit follows the history of bourbon from its roots in American frontier life to modern prominence as an internationally recognized spirit. As Scotch is a distinct product of Scotland and Canadian Whisky originates in Canada, bourbon is a product that is uniquely American. The exhibit includes materials from the library’s collection paired with a selection of distinct bourbon brands. Special thanks to Dr. Marissa Orlowski of Rosen College and the Sazerac Company Archives for contributing items. The exhibit will be on display through Spring 2018. 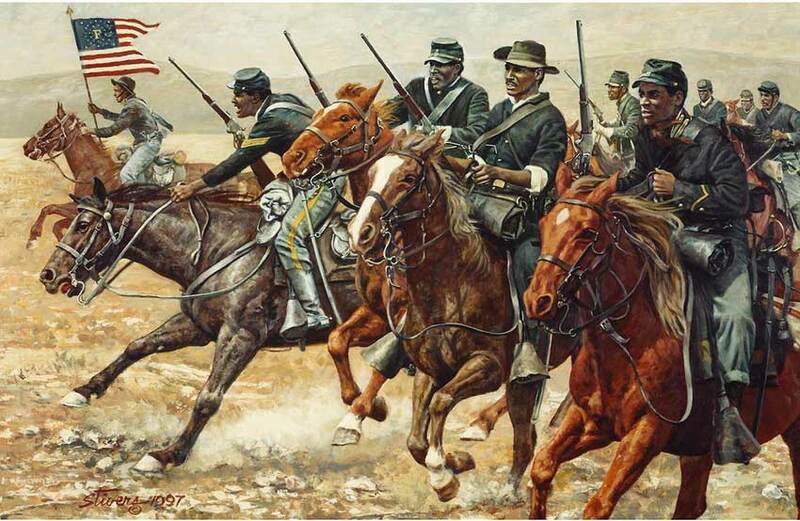 During February, an exhibit of material about the Buffalo Soldiers will be displayed in the John C. Hitt Library on the main floor. The Buffalo Soldier Historical Society is installing the exhibit to celebrate African American History month. The Society’s mission is to preserve, promote, and perpetuate the history of African-American military units from 1775 to 1951. All are welcome to a presentation on Friday, February 2 at 2.00 p.m. in the John C. Hitt Library Room 223 for an exciting presentation on an important part of our history. Walt Disney revolutionized the film and art markets, and in the 1930s, he took on the consumer market with the development of the all-encompassing marketing program. Every Disney film, beginning with Snow White and the Seven Dwarfs, has included a complete marketing campaign, and the successful marketing of Disney characters has brought beloved characters into our everyday lives. The latest exhibit in Special Collections & University Archives, “Walt Disney, Impresario of Consumption,” looks at Disney’s marketing strategy from the 1930s to today using publications, artifacts, and ephemeral materials produced by and about the Walt Disney Company. The exhibit was curated by UCF students in Dr. Keri Watson’s “The Art of Disney” class (ARH 3888). The Special Collections & University Archives’ exhibit space is located on the fifth floor of the John C. Hitt Library. The exhibit will be up through January 6, 2018.